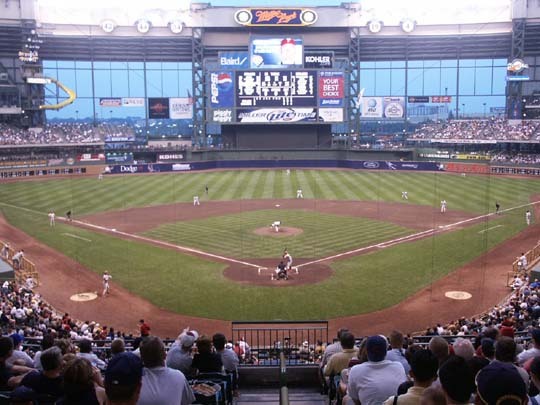 The Milwaukee Brewers play at Miller Park which opened in 2002 and seats 43,000. 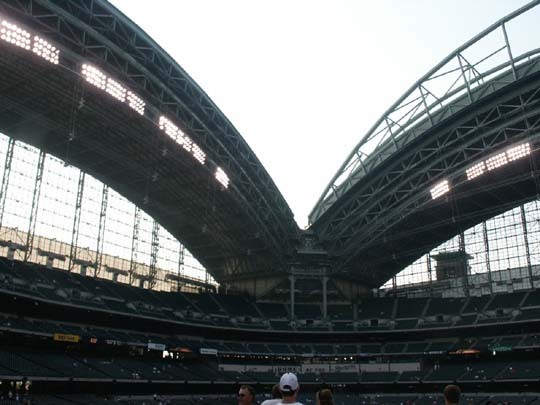 This stadium has a closeable roof which was open the night we were there. 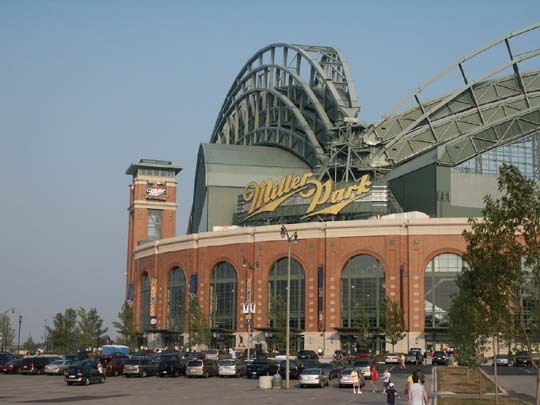 It has all the amenities that newer stadiums have. 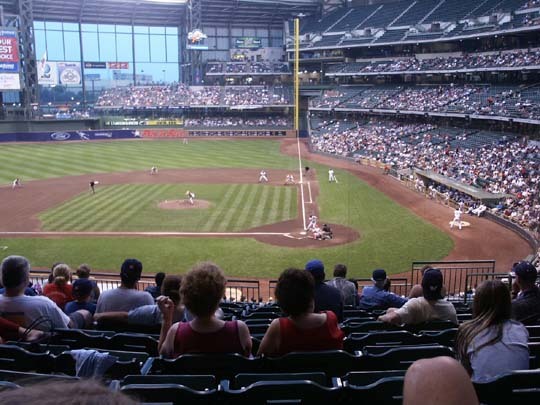 You cannot view the field from all areas of the 1st level, in particular from behind homeplate, blocked by suites, or straight away center field, blocked by the black background for the batters. Not as large a menu for the concessions as we have seen at other ballfields. 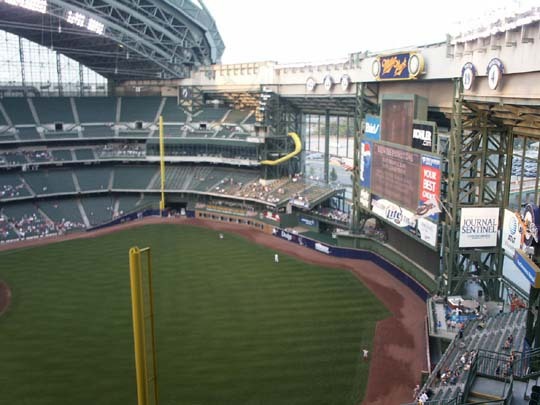 Lots of space in the concourse on the Terrace, 3rd level, including a young child play area. 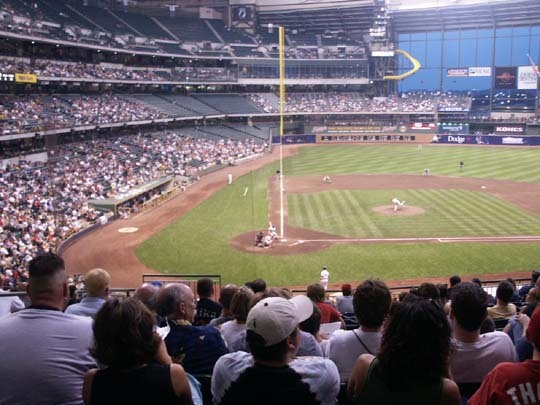 The Brewers were playing the Philadelphia Phillies. 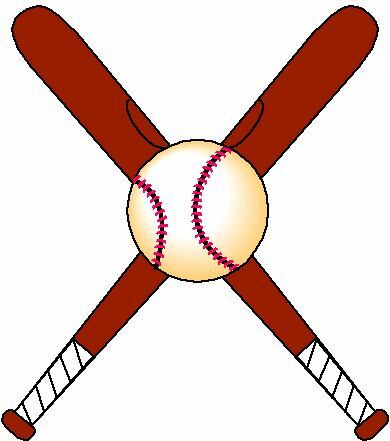 They had a shut-out going into the 9th inning winning by a score of 10-1. 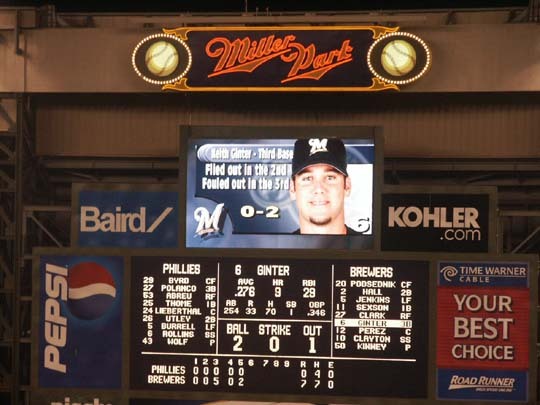 The box score was Phillies R-1, H-11, E-0 and Brewers R-10, H-12, E-0. 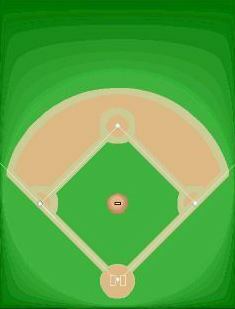 The field lines are RF-345', RC-374', CF-400', LC-370', and LF-344'. 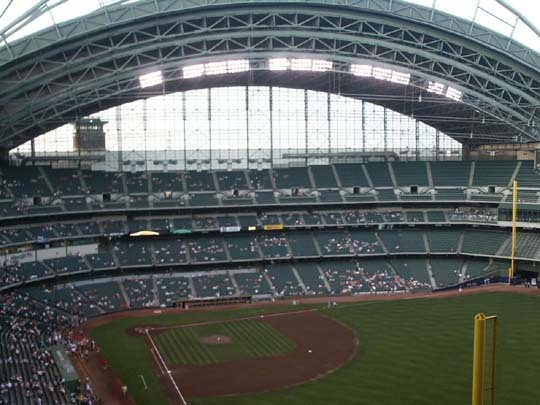 The game start was delayed for 19 minutes because of a power surge that shut down almost half the lights at Miller Park during pregame introductions. 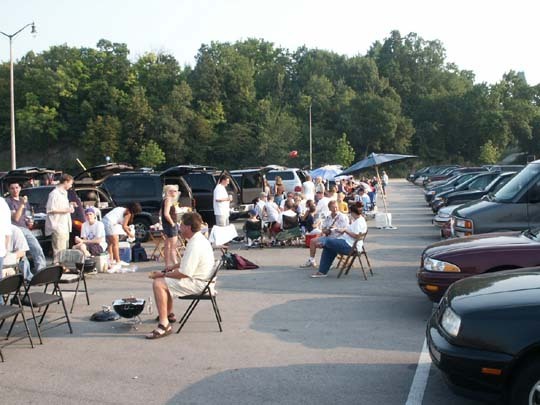 The parking lot at Miller Park is filled with tailgate parties before the game. They have cans to pour your leftover hot BBQ coals in when you are finished. 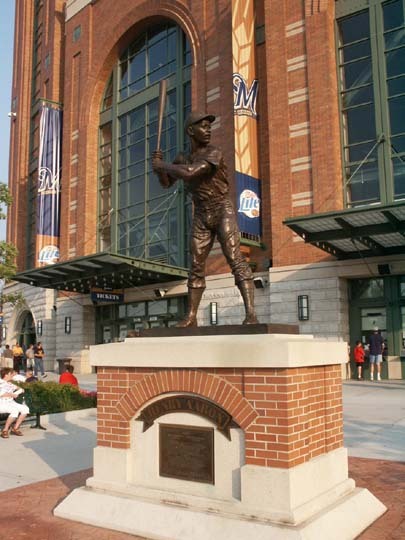 At the homeplate entrance to the stadium are statues of two Hall of Famers who played for Milwaukee, Hank Aaron and Robin Yount. 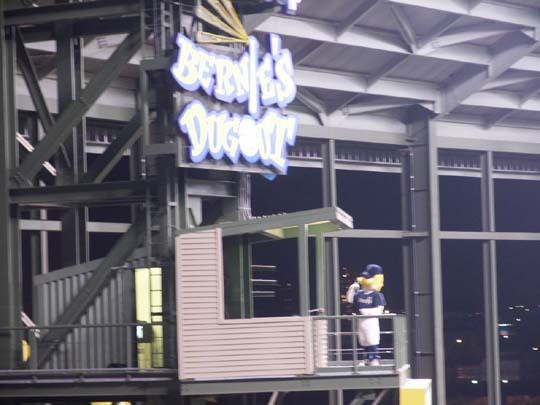 Bernie is the mascot and has a special dugout location on the 3rd level in left field. 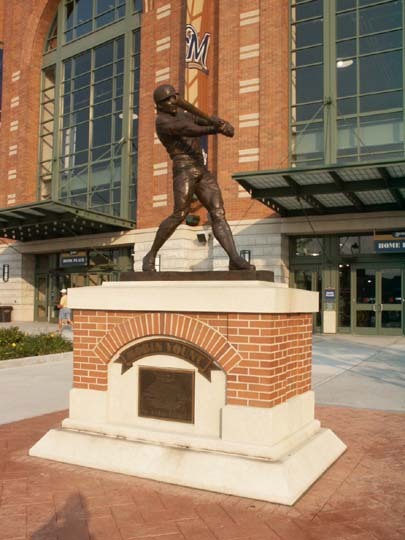 He stands in his dugout when the Brewers are up to bat. 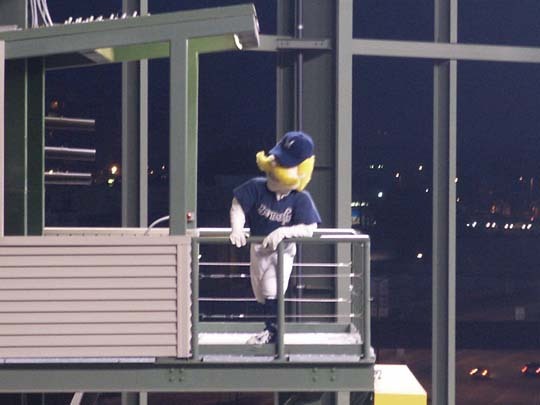 When the Brewers hit a home run he slides down the yellow slide to a lower level. 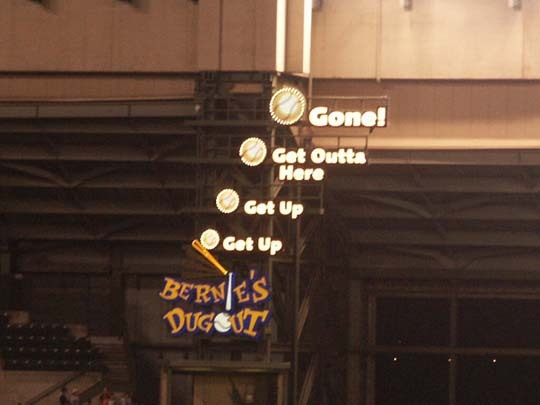 The lights above his dugout light up as well. 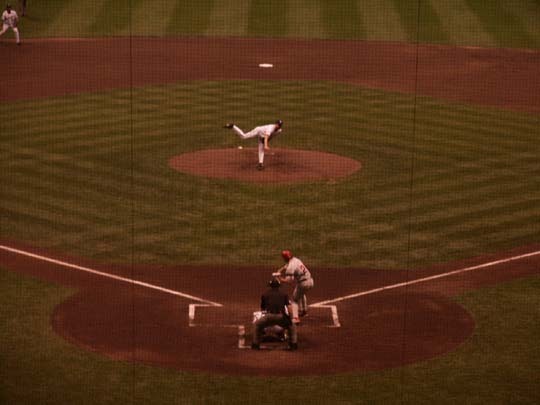 He goes in a small room behind the dugout and watches the game on TV when the opposing team is up to bat. 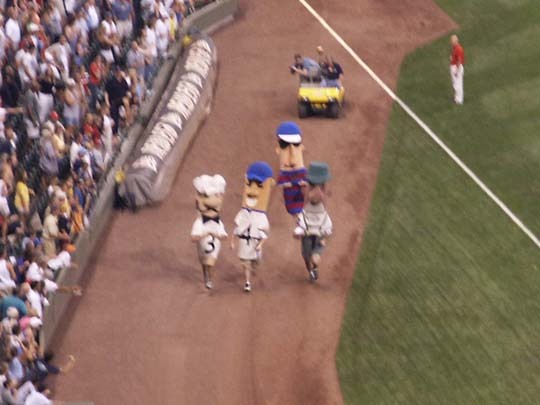 At the top of the 7th inning there is the sausage race from third base to first base. 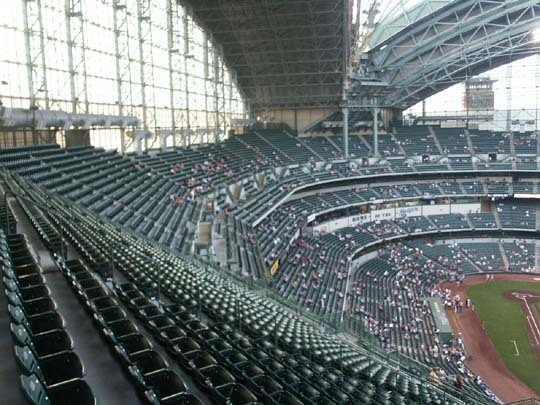 Attendance for the game was 18,115. The International Clown Hall of Fame is dedicated to the preservation and advancement of clown art, on display is clown clothing, shoes, props and memorabilia. Fee.